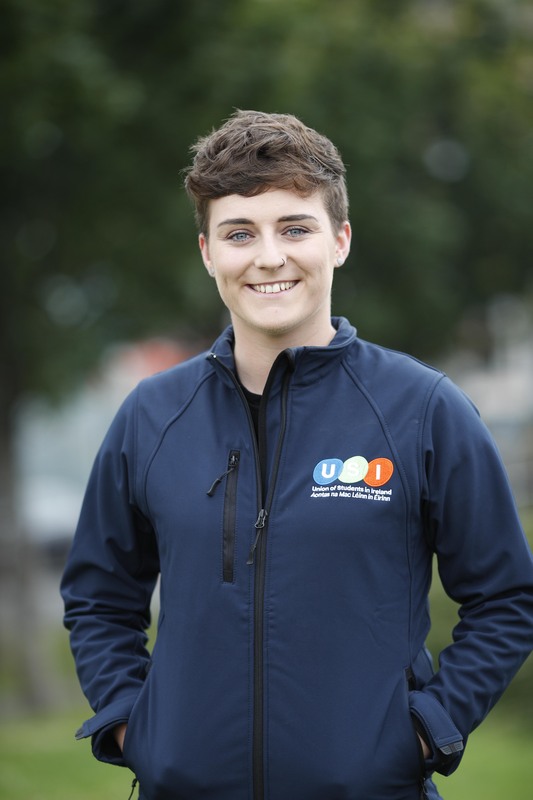 Síona is the elected President of USI for 2018/2019. She studied at Maynooth University and served two terms as Maynooth Students’ Union Vice President for Welfare. She previously held the position of Vice President for Equality and Citizenship for two terms. Oisín served as the Vice President for Education at Queens University Belfast Students’ Union in 2016/2017 and as Vice President for Equality and Diversity in 2015/2017. He got involved in the student movement through LGBTQ+ advocacy. Oisín’s role includes representing students’ views on national bodies like the QQI , ISSE, the National Forum for the Enhancement of Teaching and Learning, and the HEA. This is his second term of office. Damien is the newly elected Vice President for Welfare. Prior to his officership in USI, Damien was Welfare Officer for Trinity College, Dublin Students’ Union. Michelle previously served as President of WIT Students’ Union in 2016/2017 and as Education Officer in 2015/2016. Last year she served as Vice President for the Southern Region. Aisling Cusack is the Vice President for Equality and Citizenship. In the 2017-18 year, she served as Vice President for the Dublin Region. Before that, she served as Education Officer of IT Tallaght Students’ Union in 2016/2017 and in 2015/2016. Barry represents and organises in the Border, Midlands and Western region alongside Students’ Unions in NUI Galway, GMIT, Sligo IT, Letterkenny IT, St Angelas, Athlone IT, Maynooth University and DKIT. Barry previously served as President of IT Sligo Students’ Union. 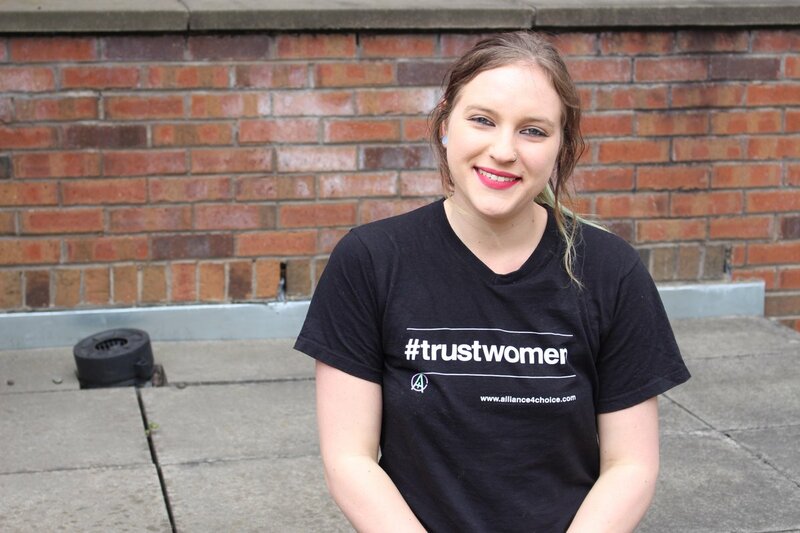 Lorna represents and organises in the Southern region alongside Students’ Unions in WIT, UCC, CIT, IT Tralee, Limerick IT and LSAD and LIT Tipperary, Carlow College and IT Carlow. Lorna previously served as President of IT Carlow Student’s Union. Colm represents and organises in the Dublin region alongside Students’ Unions in TCD, DIT, IADT, NCAD, NCI, IT Tallaght, IT Blanchardstown, DCU and Colaiste Dhulaigh. Colm was previously a Part-Time Officer in TCDSU as well as working full time on the TCDSU Accommodation Advisory Service. Is í Aoife an Leas-Uachtarán don Ghaeilge in Aontas na Mac Léinn in Éirinn. Rugadh í in iarthar Contae Chorcaí agus bhain sí céim amach sa Ghaeilge agus Eacnamíocht Bhaile i gColáiste San Aingeal, Contae Shligigh. Bhí Aoife ag obair mar Uachtarán in Aontas na Mac Léinn Coláiste San Aingeal (2017-2018) agus roimhe sin mar Oifigeach na Leasa agus Oifigeach na Gaeilge. San Aontas, déanann Aoife iarracht an Ghaeilge a chur chun cinn i measc na mballeagraíochtaí agus cearta teanga mhac léinn a chosaint. Is í an chéad Leas-Uachtarán don Ghaeilge lánaimseartha ag AMLÉ riamh. Aoife is the Vice-President for the Irish Language. Aoife is originally from West Cork with a degree in Irish and Home Economics Teaching from St Angela’s College, Sligo. Aoife was the President of St Angela’s College Sligo Students’ Union (2017-2018) and before that she served as the Welfare Officer and the Irish Officer in STACS SU. Aoife promotes the use of the Irish language in member organisations and endevours to protect and promote Irish language rights for students. Aoife is the first full time Vice-President for the Irish language with USI. Andrew was previously the Vice President for Education in NUIG Students’ Union. He is the first ever USI Vice President for Postgraduate Affairs, working on a part-time basis. His focus for the year is on developing a national network for postgraduate students and issues, and on making links across national agencies and bodies. Olivia Potter-Hughes studied at Belfast Metropolitan College where she was initially Student Secretary, and later Student Governor. Following this, she served as NUS-USI Further Education Officer whilst studying Politics at Queen’s University Belfast, where she sat on the student council before being elected as President of NUS-USI for 2017-18. She is a vegetarian, and currently lives in County Antrim with her nine pets. Her interest in politics stems largely from issues of equality in Northern Ireland, particularly around civil marriage and abortion laws, and she believes in free education and equality for all.